As we age, sagging, lax skin becomes a major problem for most men and women. Over time, gravity, genetics, and the natural aging process all contribute to skin laxity, which is one of the biggest signs of age. As the skin begins to slow its collagen production, it slowly loses elasticity and begins to thin, allowing gravity to pull it down more effectively as well as allowing wrinkles to become deeper. This all contributes to an older, more tired appearance that is often not at all in line with how a person feels on the inside. CLDerm offers the most effective, FDA cleared non-invasive skin tightening devices available. Many people nowadays are hesitant to go under the knife for a full facelift, and in fact, many do not even need a full surgical facelift. Whether you are just beginning to show signs of skin laxity or are finally looking to reverse more severe aging effects, our board-certified dermatologists are here to help you find the best treatment plan to meet your goals and give you the best, most natural-looking results. When undergoing a consultation for skin tightening treatment at Cosmetic Laser Dermatology, the first course of action is to determine which procedure is ideal for your particular problem and skin type. During your consultation, our dermatologists will work with you to create a treatment plan that meets your goals and which provides the best results. Ultherapy is a very popular device that has been around for years. It uses innovative ultrasound technology to penetrate and gently heat and tighten deep underlying tissue in order to create a subtle lifting and tightening effect. 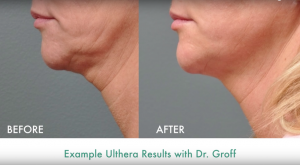 Ultherapy is FDA cleared for use on the face, neck, and even décolleté, and can help men and women restore their smooth, youthful skin. Ultherapy is safe for use around the eyes for a brighter more open eye area, and although it is not FDA cleared for other locations on the body, it has been successful at tightening skin on the upper arms, abdomen, and thighs as well. The Ulthera procedure is fairly short, lasting less than an hour, and there is no downtime required. Full results are not immediate but can be seen coming on gradually over the course of a few months as collagen production is renewed. 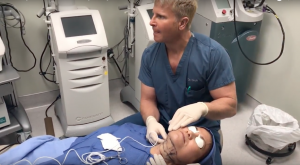 This treatment is great for men and women who want a very subtle, natural rejuvenation and don’t want anyone else to know that they’ve had a cosmetic procedure done. ThermiTight, also known as ARVATI, is a minimally invasive treatment that can effectively reduce fat as well as tighten and firm skin. 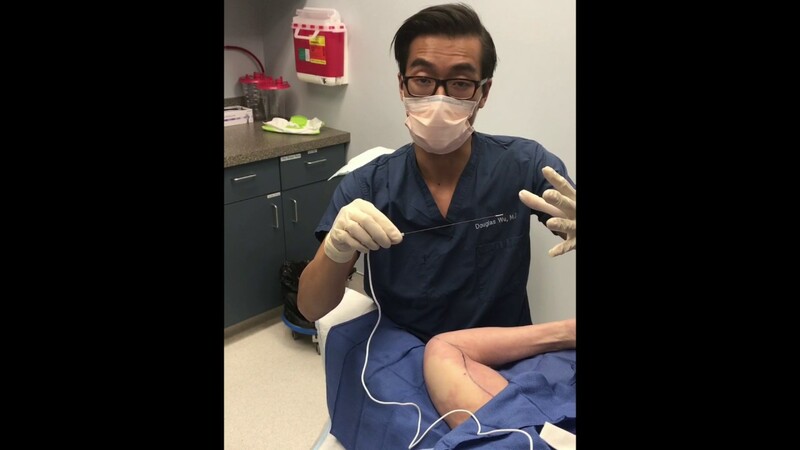 It works by using a small probe inserted under the skin that conducts radio frequency energy into the deep dermal tissue, providing a heating and tightening effect. The temperature of the radiofrequency energy can be controlled for optimal results and can result in either fat reduction, tissue tightening, or both, depending on the patient’s needs. 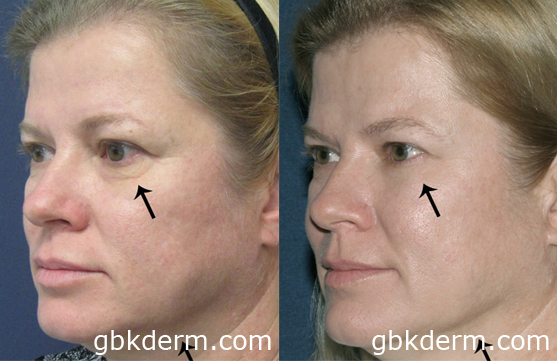 ThermiTight is a great device to use in conjunction with other treatments for a full rejuvenation effect. For example, liposuction to the chin could be performed to dramatically reduce the fat, then Thermi could be used as well to provide tightening and contouring effects. 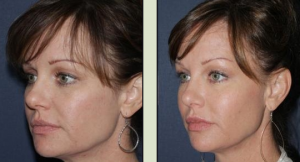 ThermiTight can also be used to lift jowls, and dermal fillers can be added to provide a fuller, more volumized look. 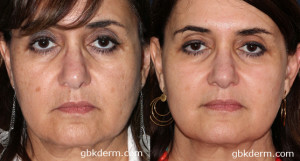 Thermi is also popular to use with other laser treatments in a non-surgical facelift procedure. Thermage is a treatment that was made popular by Gwyneth Paltrow, who swears by it to keep her skin looking youthful and beautiful. Thermage uses radiofrequency, or RF, technology along with a built-in cooling system to heat the deep tissue of the skin, thus stimulating collagen production and creating firmer, tighter, more elastic skin. Thermage is one of the ultimate anti-aging tools to use in your battle against time! Thermage is often used to touch up results from Ultherapy as well, and it has proven results that last. Turn back the clock on your skin with this effective procedure that involves no downtime and only takes a single treatment session to see results! Cellfina is the latest contender in the war on cellulite and is the most advanced, effective, and longest-lasting non-invasive cellulite reduction treatment available. Cellfina was just FDA cleared in 2015 after multiple clinical trials proving its safety and effectiveness. It is revolutionary in that it lasts for up to two years! While Cellfina isn’t an actual skin tightening procedure, its therapy for cellulite can be used to improve skin appearance in problem areas. Cellfina works by automating the process of subcision, which is a procedure that snaps the fibrous connecting tissue that causes cellulite dimples, also known as cottage cheese fat. Cellfina is best for reducing dimples on the buttocks and the backs of the thighs. Infini RF Microneedling is a great alternative for skin tightening that uses gold-tipped microneedles to conduct radiofrequency energy deep into the dermis. This combination of treatments kickstarts collagen production for more dramatic results that can be achieved through microneedling alone. Radiofrequency stimulates collagen production through heating and tightening deep skin tissue, which results in firmer and tighter skin on the neck and face. Through its non-invasive techniques and the use of patented ComfortFlow technology, Infini treatment performed by a physician has little discomfort and fast, easy recovery. Infini has customizable depth control, from 0.5mm all the way to 3.5mm, for treatment in accordance with patient goals. Infini RF Microneedling also offers adjustable power levels, timers, and tip sizes, including a 49 needle tip for larger areas and a 16 needle tip for treating smaller, more delicate areas such as around the eyes.